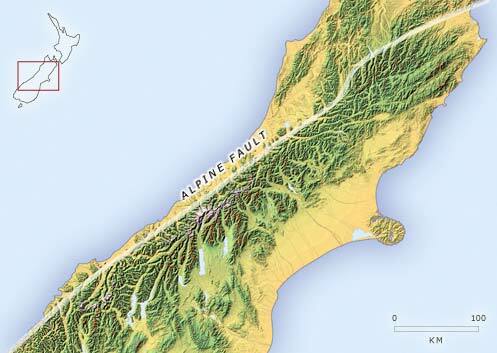 The Alpine Fault is remarkably straight, bisecting the South Island and forming the western edge of the Southern Alps, as illustrated in this digital terrain model. It was not recognised until 1941 because the area was rugged and isolated, and earlier generations of geologists did not have the advantage of having an aerial view. This is hugely fascinating... especially as I live in this country! Who knows what New Zealand will look like in the next hundred million years? !